Michelle Castro brings more than a decade of experience appraising and auctioning fine and decorative arts. Based in Dallas, Michelle is responsible for assisting attorneys, executors, advisors and fiduciary professionals with their client’s needs for estate evaluations, appraisals and asset divestiture. She represents Heritage Auctions throughout Texas and the Southern Region of the United States. A Southern native, Michelle spent her early career working with European and American paintings at a private gallery in New Orleans before launching a successful career in the auction industry, where she successfully curated and directed the sales of prominent Southern estates. Her work for the estate of a noted New Orleans art collector achieved record prices for several Southern artists with prices realized of more than $4.6 million. Soon after, Michelle sourced and managed a significant collection of American art in rural Texas with sales exceeding $3.9 million. Michelle assists clients with estate tax, family division and insurance appraisals; the development of sale and marketing plans for auction or private treaty sales; and consignment management, all treated with the utmost discretion. She is also an accredited member of the International Society of Appraisers, specializing in fine arts. Roberta Kramer, Managing Director, Chicago, is a 25-year veteran of the art and antiques world. Before beginning her career in auctions, she spent two years curating for the Ben Uri Art Society in London. Returning stateside, Roberta served as Gallery Director for J. Rosenthal Fine Art until her interest in Continental Antiques led her to a management position at Rita Bucheit, Ltd. In 1992, with her extensive knowledge of fine art and antiques, Roberta started her auction career at Leslie Hindman Auctioneers as an account executive. In 1995, after taking a leave to found the Antiques Center at Kinzie Square, she was named Consignment Director of newly formed Chicago auction house, Susanins Auctions. While at Susanins she also managed the appraisal department and served as principal auctioneer alongside Sean Susanin. In 2001 she founded Roberta Kramer & Associates, Inc., a firm specializing in appraisals and art consulting. A recognized USPAP compliant appraiser and auctioneer, Roberta has served as a charity auctioneer for numerous charities and has been a frequent contributor to Art & Antiques Magazine. Carolyn Mani's background includes twenty years of experience in both live and online auctions, as well as an extensive background in appraising and vetting Furniture and Decorative Arts, Fine Art, Collectibles, Musical Instruments and Entertainment Memorabilia. Prior to joining Heritage, Carolyn was Director and Auctioneer at Bonhams (Butterfields). She oversaw the estate department for more than ten years, established a proven track record in working with large consignments and institutions and was an accredited member of the International Society of Appraisers (ISA). Most recently, she has brought to auction the celebrity estates of Shirley Temple Black and Zsa Zsa Gabor with outstanding results. As an auctioneer she has raised millions of dollars and provided auction services to numerous charities including John Wayne Cancer Society, Stars for a Cause, The LOOC foundation, Wheels for Humanity, The Beverly Hills Bar Association Barristers, The Chrysalis Foundation, Project Angel Food, Cancer Treatment Centers of America, The Chuck Jones Center for Creativity, Ed Asner Family Foundation and many others. Originally from Charleston, South Carolina, Alexandra moved to Dallas, Texas to attend Southern Methodist University, graduating with Bachelor's degrees in both Art History and World Languages with a focus on French and Italian. While at SMU, she lived in Paris, France and worked in the Département des Peintures at the Musée du Louvre and in the Département de la Conservation at the Musée D’Orsay. Alexandra started working for Heritage Auctions in 2017 with roles in both Business Development and Trusts & Estates. In March 2019, Alexandra became the Heritage Auctions Chicago Trusts & Estates Representative. Elyse Luray served as the Vice President, Auctioneer and department head of Collectibles for Christie’s for more than 10 years after earning a degree in art history from New Orleans’ Tulane University. Since then she has collaborated and consulted with a number of specialty auction houses, handling high-profile auctions ranging from antique toys to sports collectibles and fine wine. The roster of important private collections she has managed include the archives of Lucas Films, DreamWorks, Fox Studios, Jimi Hendrix, Muhammad Ali, Eric Clapton, Marilyn Monroe, and Mickey Mantle. Elyse is also the nationally-recognized host of numerous television programs on collectibles, such as HGTV’s "If Walls Could Talk" and "The Longest Yard Sale," as an appraiser on PBS’s "Antiques Roadshow" and as a permanent cast member of its popular "History Detectives." She quickly earned roles as host of "Collection Intervention" on the Syfy network, "Treasure Seekers" on VOOM!, and as a collectibles expert on "The Nate Berkus Show" and "Clean House NY!" as well as several appearances on morning television programs. She is also an author, speaker and a licensed auctioneer in New York. A member of the Appraisers Association of America, Elyse is a USPAP-certified appraiser of Entertainment memorabilia and a preferred appraiser for both the Chubb Group of Insurance Companies and Encompass Insurance. Heritage can auction all of the art and collectibles in your client's estate, unlike the two larger firms you probably deal with now, who typically sell the less expensive objects in bulk, or offload them to auctioneers catering primarily to dealers. Approximately 75% of items in Heritage auctions sell to retail collectors, the highest percentage by far of all major auction houses. Collectors rarely buy in bulk, but tend to buy exactly what they want and are willing to pay much more than dealers. Unlike most auction houses, Heritage focuses most of its marketing directly to private collectors through direct mail and the Internet. HA.com receives more traffic than any other auction house website (Source: Similarweb.com). 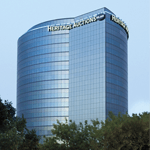 Heritage auctions almost 300,000 individual lots per year, significantly more than any other major auction house. Every lot you consign, even objects that sell for well under a thousand dollars, will be individually offered and carefully described, with enlargeable 4-color online photographs. Simply put, if you are liquidating a major estate and do not get a proposal from Heritage Auctions, you are likely to cost your clients a significant amount of money. Worldwide Internet presence translates into realizing the highest prices at auction for your consigned property. This means your material will be viewed by far more qualified bidders, multiples more, when consigned to Heritage. We have established HA.com as the leading online bidding platform of any full-service auction house. Heritage is here to help people both acquire wonderful objects, and, at the appropriate time of their choosing, assist them in selling via our global consignment platforms. To receive with our compliments Heritage's Trusts & Estates Newsletter, which is designed to provide the T&E community with up-to-date news and commentary related to your mission and ours, e-mail your contact information to Estates@HA.com , call 1-800-872-6467, or fax to 214-443-8425. With our superb team of experienced specialists, in fields ranging from Rare Currency to Modern Art, Historical Photography to Comic Books, we are pleased to offer a full service Appraisals Department for our Trust & Estates clients. Trustees, executors and fiduciaries responsible for estate tangible property can now avail themselves of the best suite of estate services anywhere, including: authoritative estate appraisals, auction services and private treaty sales. Please visit Heritage Appraisal Services or email Estates@HA.com .